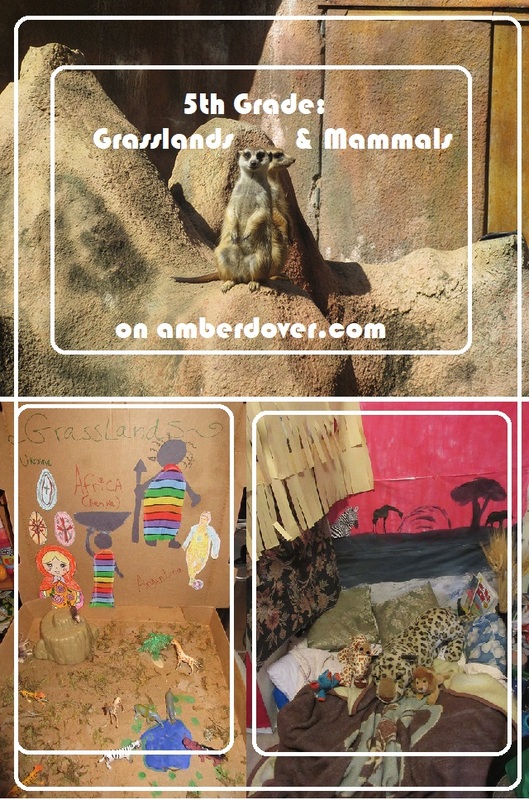 In this post: A grassland scene and diorama, a trip to the Albany zoo for science, and splatter art inspired by painter Jackson Pollock. Join us for a trip back to our 5th-grade studies. Hello, dear ones! This is my 4th post for our 5th-grade studies from a couple of years ago. In geography, we learned about grasslands and in science, we learned about mammals. Lastly, our famous artist was Pollock. We did these studies in October of 2015. Here’s how we learned! Grassland Diorama Pizza Box- We learned about several grassland countries: The Ukraine, Kenya, and Argentina. Michael made the floor of the diorama look like a wild grassland. The “wall” of the diorama shows artwork from the various countries: a nesting doll and pysanka egg for Ukraine, soccer for Argentina, and beautiful chalk drawings with fabric robes for Kenya. The Albany Zoo- We took a trip to the Albany Zoo to learn about mammals for Science. It is such a nice zoo. It’s not crowded like Atlanta. We thoroughly enjoyed our trip. Art- Fall Colors Splatter Art in the style of Pollock. It’s hard to believe that Michael was just nine years old then. Now he is twelve and he’s taller than me….his projects are more complicated and more expensive. Ha! Oh, I miss how small he was!